The following is a selection of the albums and re-issues that had the greatest impact on us for a wide range of different reasons. As difficult as it proved to settle on a final (and very concise) selection, we both turned to these special albums most often throughout the year. 2014 has been a year which has produced so many absolutely wonderful and truly special albums, here’s our personal selection of some of these (with a selection of ten albums and five re-issues). 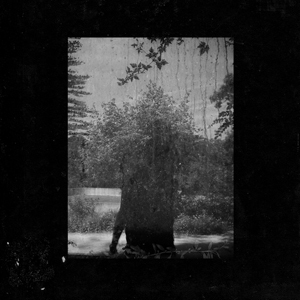 ‘Ruins’ is a stunning achievement which proves all the more astonishing considering the already extensive (and consistently breathtaking) recorded output of Grouper since the mid 00’s. ‘Clearing’ is arguably Harris’s most singularly beautiful song conceived to date. As Harris sings: “What has been done / Can never be undone” over a gorgeously delicate piano line we embark on yet another wholly unique and deeply personal odyssey under the stewardship of Harris’s very heart. Like a silent witness we hold our breath as we remain under Harris’s spell throughout (from the timeless ballad ‘Holding’ to the closing epic drone-heavy tour-de-force ‘Made of Air’). ‘Ruins’ is a quietly breathtaking force of nature: an album made as much by Harris’s own hands as by the moonlight’s illumination in the night sky or the evening sun’s last rays of faded half-light. ‘Ruins’ is available now on Kranky. One of my most memorable moments of this past year was undoubtedly witnessing Caribou’s storming live set at 2014’s Body & Soul festival. A euphoric feeling ascended into the summer evening skyline as each transcendent beat and luminous pop-laden hook flooded our senses. The majority of 2010’s glorious LP ‘Swim’ was revisited, from the tropicalia-infused ‘Odessa’ to the hypnotic ‘Sun’ and all points in between. Dan Snaith & co’s set further confirmed the legendary status of Caribou; whose innovative and utterly compelling sonic creations (where elements of krautrock, dance, jazz, soul, hip-hop, and electronic soundscapes form one irresistible, mind-blowing sound spectrum) have long served a trusted companion for the independent music collector. 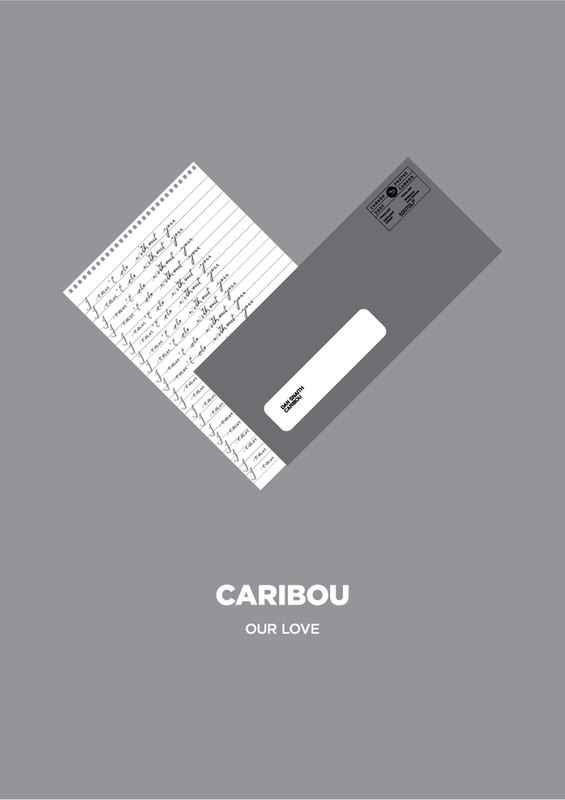 This year marked the highly anticipated fifth Caribou studio album, ‘Our Love’, which, in many ways, nestles beautifully between its predecessor ‘Swim’ and Snaith’s more techno-oriented project of Daphni. Lead single ‘Can’t Do Without You’ is an instant classic with a seamless array of melodic patterns and soulful vocals that evokes the soul-stirring songbook of Al Green as much as it spans the history of the dance floor. 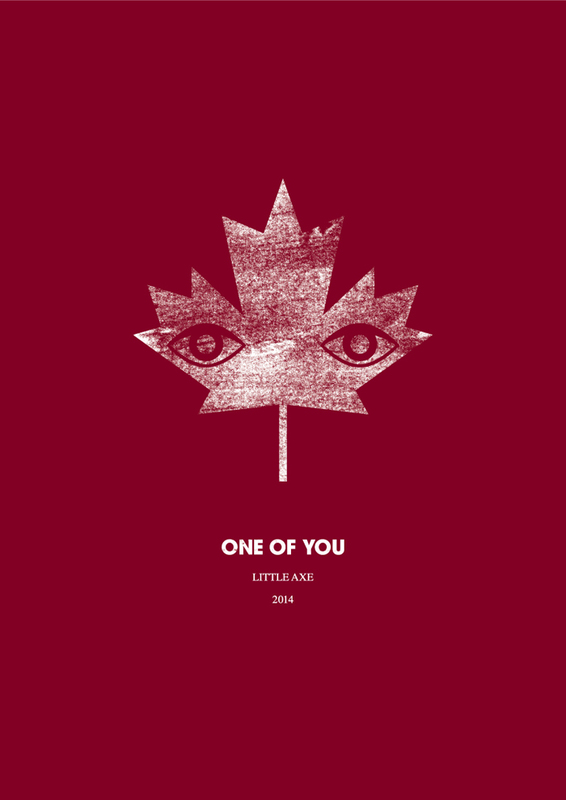 Several of the songs were co-written by gifted Canadian composer/violinist Owen Pallett (whose own solo record ‘In Conflict’ has been one of the most original, daring and innovative records of 2014) and Pallett’s distinctive violin-led melodies coalesce effortlessly with Snaith’s visionary dance structures. 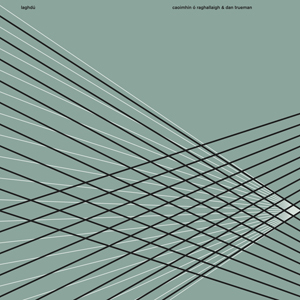 Numerous remixes have since seen the light of day (where new perspectives and insights are drawn and re-configured) with the latest example being Carl Craig’s techno mix of ‘Your Love Will Set You Free’. Much in the same way as ‘Swim’, I know (and firmly believe) ‘Our Love’ will remain as vital and significant for many more years and decades to come. 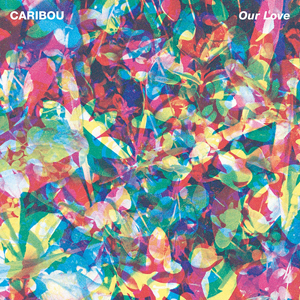 ‘Our Love’ is available now on City Slang (EU) and Merge (USA). 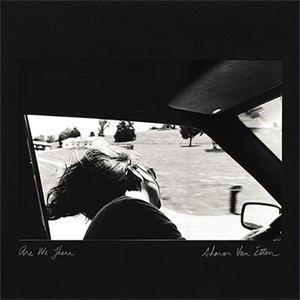 When Jersey-native and New York-based songwriter Sharon Van Etten first announced the arrival of ‘Are We There’, Van Etten’s fourth full-length and follow-up to her 2011 seminal work ‘Tramp’, she had these words to share: “I really hope that when someone puts my record on that they hear me.” Of course, Van Etten’s wishes have clearly been fulfilled. If there’s one thing we can firmly establish by now it is this: Van Etten makes music from the real world; a world of real events and real people with real feelings. Subsequently, steeped in a sometimes harsh reality, Van Etten’s songs are imbued with fears, struggles and (often) much pain. Much like Chan Marshall’s pre ‘The Greatest’ recorded output, Van Etten bravely examines her own life’s immediate surroundings and relationships to share her most innermost confessions and feelings for us all to bear witness. Through Van Etten’s songs we too can find our own deepest feelings long hidden in the shadows of some forgotten, distant dream. ‘Are We There’ is Van Etten’s first self-produced album (The National’s Aaron Dessner produced its predecessor ‘Tramp’) and features a host of wonderful musicians, including: Torres’s Mackenzie Scott on vocals (who toured extensively supporting Van Etten); Heather Woods-Broderick (on strings and vocals); Mary Lattimore (harp) as well as Van Etten’s trusted and formidable rhythm section (Zeke Hutchins on drums and David Hartley on bass). The use of vocal harmonies (Van Etten, Scott and Woods-Broderick) is a pure joy to witness. The resultant musical arrangements are stunningly cohesive and yet genuinely innovative, providing for many moments of challenging and divine musicianship — at times wonderfully dense and strikingly tactile (‘Our Love’ or ‘Every Time The Sun Coms Up’) — other times remain starkly sparse (‘I Know’) but, importantly, such intricacies of musicianship and arrangements only ever serve the song. “Everybody needs to feel” sings Van Etten on ‘Your Love Is Killing Me’. 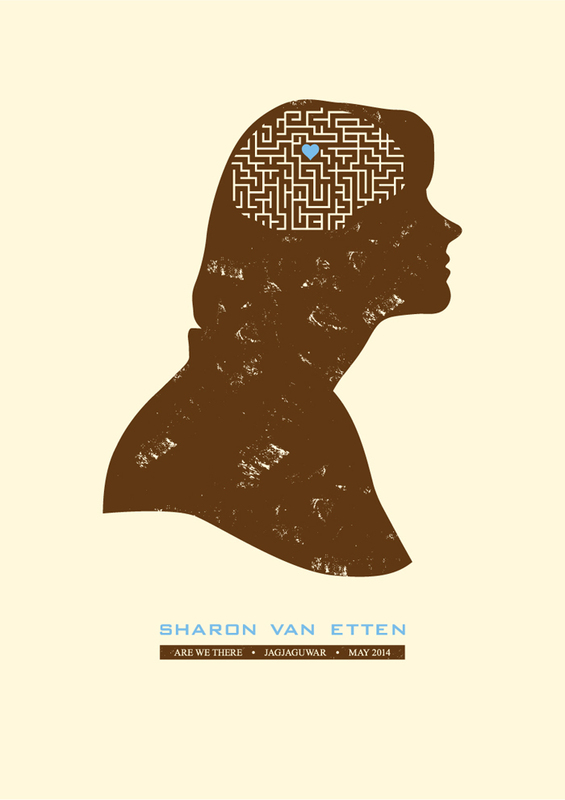 It’s a sentiment that best serves the phenomenal and beloved artist that is Sharon Van Etten and ‘Are We There’. It’s another step to becoming your own true self. It’s a destination no one is ever likely to realistically reach but striving for it is proving to be Van Etten (and her sacred songbook)’s true towering achievement. ‘Are We There’ is available now on Jagjaguwar. ‘I Dream Of Wires’ is a documentary based on the phenomenal resurgence of the modular synthesizer; exploring the passions and dreams of people who have dedicated part of their lives to this electronic music machine. The splendid documentary — released earlier this year — features interviews with Ghostly’s Solvent (who co-wrote the film in addition to composing the film score), Carl Craig, Jeremy Greenspan (Junior Boys) and Warp’s Clark. Reflecting on this particular film now, I feel it is precisely this exploration of passions and dreams that filters into the dazzling music of UK’s Chris Clark. The unique blend of utterly transcendent electronic creations is forever steeped in a rare beauty, filled with endless moments of divine transcendence. 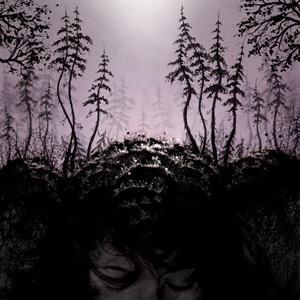 This year marked the eagerly awaited release of new self-titled full-length (and seventh for Warp), following up 2012’s magical ‘Iradelphic’. The gifted producer’s meticulous touch can be felt throughout, from the cold-cut classic ‘Unfurla’ to the blissful synth-laden ‘The Grit In The Pearl’. Dance music for the here-and-now that breathes life and meaning into music’s endless possibilities. 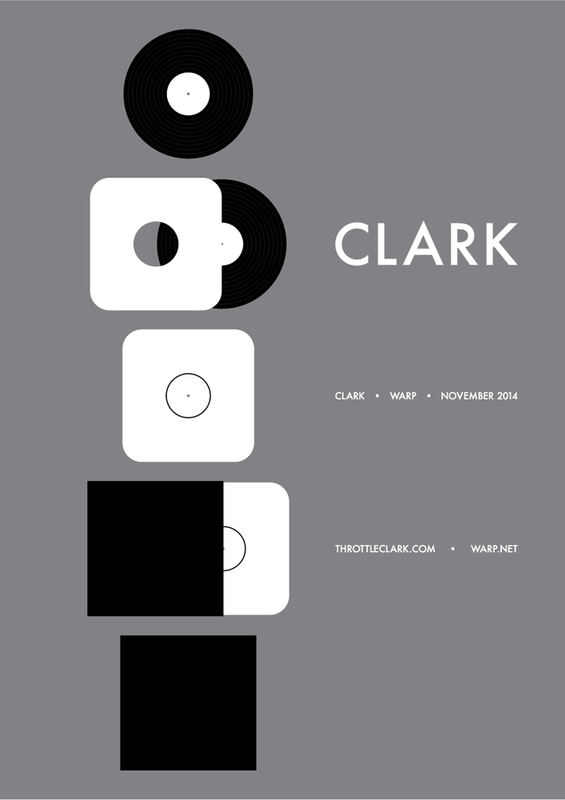 As Clark has said: “Music is like sculpture. It’s like trying to capture a moment of ultimate momentum, and distill it forever”. 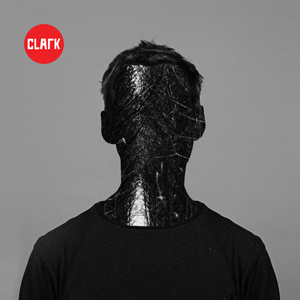 ‘Clark’ is available now on Warp. 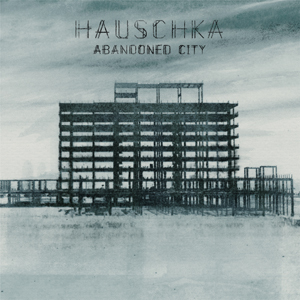 ‘Abandoned City’ proves a certain milestone in Hauschka’s recorded output to date. An intriguing sense of both adventure and discovery seeps through every pore of the album’s ten compositions. Like all of Hauschka’s art, nothing is as it first seems. 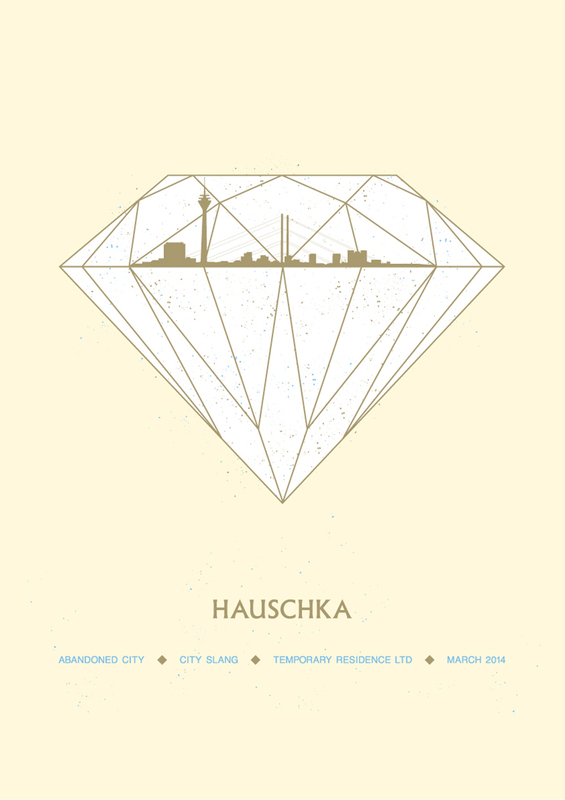 As we delve further into this abandoned city Hauschka has built for us we begin to lose all sense of what we initially thought was important in the process. We lose all traces of ourselves for that beautiful instant we are under Bertelmann’s sacred spell and that is what Hauschka’s divine art forever manages to do. ‘Abandoned City’ is available now on City Slang (EU) and Temporary Residence Ltd (USA). 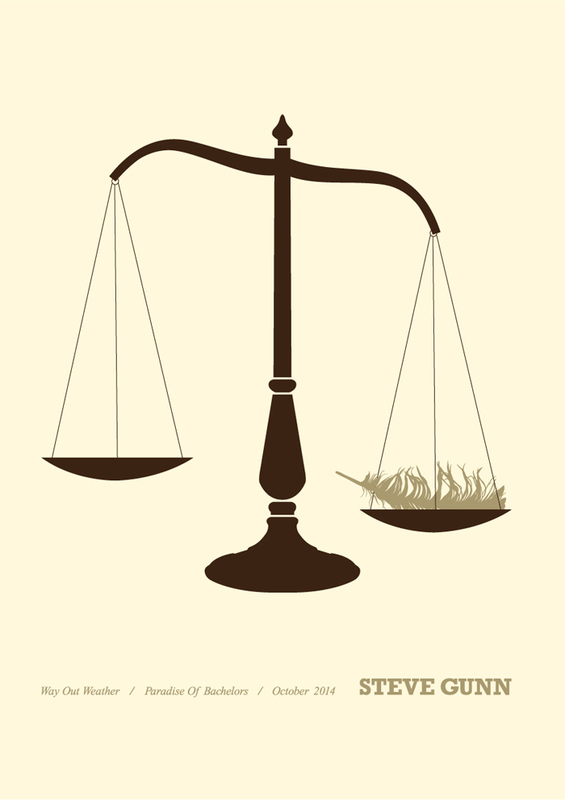 The flawless North Carolina-based independent label Paradise of Bachelors has yet again been responsible for a string of modern-day Americana masterpieces, not least the latest tour-de-force from the ever-prolific, Brooklyn-based guitar prodigy and songsmith, Steve Gunn. 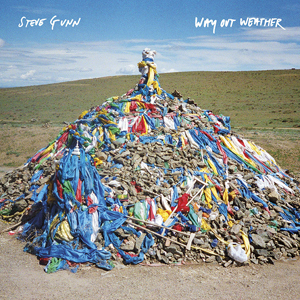 This year’s ‘Way Out Weather’ feels like a natural culmination where every aspect of Gunn’s deeply-affecting songs — poignant story-telling quality, immaculate instrumentation and intricate musical arrangements — is heightened as the towering eight creations hits you profoundly and stirs your soul. 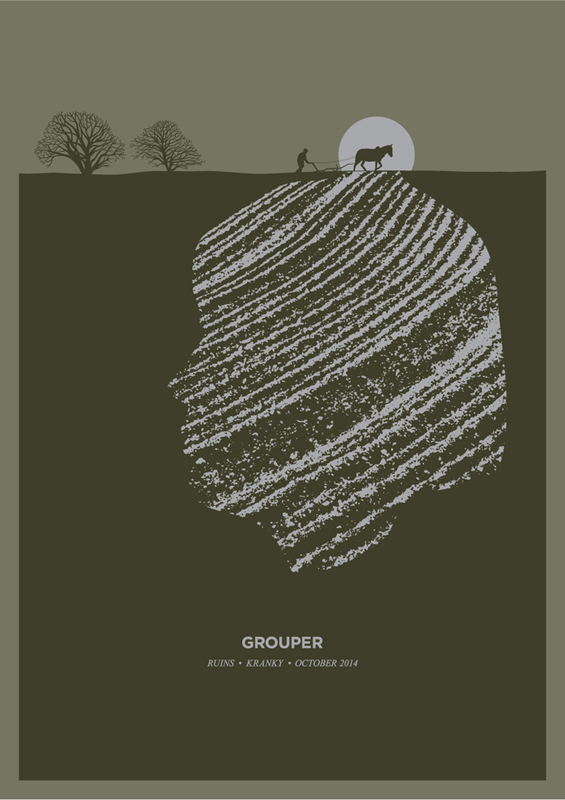 2013’s ‘Time Off’ was the starting point of Gunn’s song-writing path, having collaborated closely with Kurt Vile, Michael Chapman, Mike Cooper, The Black Twig Pickers and a host of others in recent times. On the utterly transcendent album closer, ‘Tommy’s Congo’, shades of Sonny Sharrock beautifully surfaces beneath the artefacts of time. The deep groove and rhythm interwoven with this vivid catharsis is nothing short of staggering. The cosmic spirit captured on the closing cut — and each of these sublime recordings — permanently occupies a state of transcendence. As each song-cycle unfolds, the shimmering worlds of Dylan’s Rolling Thunder Revue or the Stones’ ‘Exile On Main St.’ fades into focus. ‘Way Out Weather’ is dotted with captivating moments from the ways of a true master. ‘Way Out Weather’ is available now on Paradise Of Bachelors. 2014 has been a remarkable year for Ireland-based composer Caoimhín Ó Raghallaigh. Firstly, January saw the release of contemporary quintet The Gloaming’s stunning self-titled debut album via Real World Records. Subsequent concerts would be performed across the globe (including Sydney’s Opera House) to mass celebration and widespread critical acclaim on both sides of the Atlantic. As well as touring with his other band, the Irish/Swedish quartet This Is How We Fly, across both Ireland and Europe, Ó Raghallaigh also performed a series of truly special solo concerts (entitled “In My Mind”, a solo fiddle and film show) across the length of Ireland for the month of October. 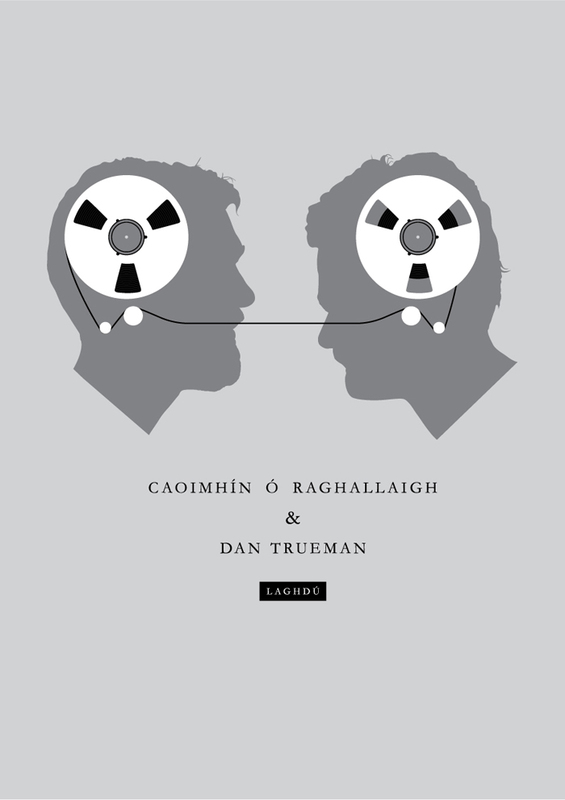 Despite the hectic touring schedules, Ó Raghallaigh also released two stunning works: the solo album ‘Music For An Elliptical Orbit’ (via Dublin-based label Diatribe Records) and the mesmerizing ‘Laghdú’, a collaboration with U.S. fiddle player Dan Trueman. ‘Laghdú’ (an Irish word which translates as: a lessening, a decrease, a reduction) is a hugely significant work for many reasons. Most notably, it was Trueman who first introduced Ó Raghallaigh to his beloved ten-string hardanger d’amore fiddle (custom-made in Norway by Salve Håkedal) during September 2000. It is the simple dialogue and deep connection which exists between the pair (both performing identical instruments and identical baroque bows) which is a pure joy to savor. Two traditional pieces are performed by the pair (‘The Jack of Diamonds Three’ and ‘Fead an Iolair’) while the remainder of ‘Laghdú’ comprises original compositions written and arranged by Trueman and Ó Raghallaigh. The dynamic range is nothing short of staggering — from the near-silent to the nigh-on orchestral, at times exploding joyously from their hybrid 10-string fiddles, at times barely there — holding time still in the process. The resultant eleven heavenly tracks occupy both the realms populated by the most ancient forms of traditional music as well as those thrillingly in-between spaces carved out and inhabited in modern neoclassical composition of the most utterly enchanting and truly sacred kind. ‘Laghdú’ is available now via Irishmusic.net HERE. 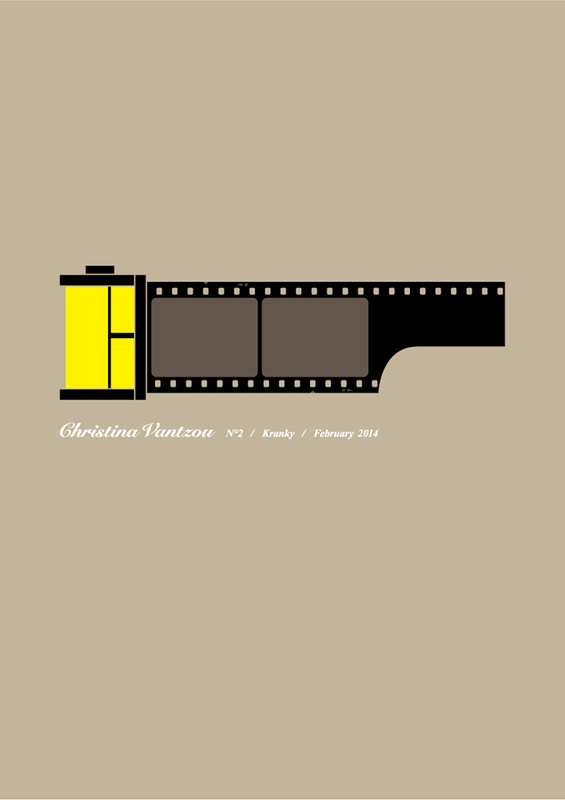 ‘N°2’ is the second solo album by the Brussels-based artist and Kansas-born composer Christina Vantzou and, like its predecessor, ‘N°1’, was issued by the formidable Chicago-based independent label Kranky. 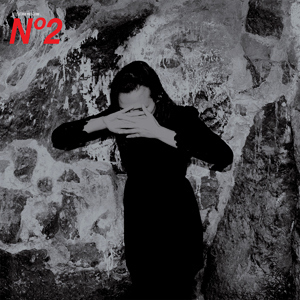 Written over a period of four years, ‘N°2’ finds Vantzou reunited with Minna Choi — of the San Francisco-based Magik*Magik Orchestra — and regular contributor Adam Wiltzie (A Winged Victory For The Sullen, Stars Of The Lid) who Vantzou effectively began her musical career with when the duo made music as The Dead Texan (Vantzou was keyboardist as well as film-maker, illustrator and animator). A wide sonic palette is used throughout, from the gentle ripple-flow of piano notes on the album’s penultimate track, ‘Vostok’ and prominence of harp on the achingly beautiful ‘VHS’ to the rapturous crescendo of strings of ‘Going Backwards To Recover What Was Left Behind’ where an emotion-filled sadness engulfs every pore. Elsewhere, slowly shifting layers of brass and woodwind drifts majestically in ‘Brain Fog’ before brooding strings come to the fore, resulting in a cathartic release of energy. Layers of angelic voices appear and disappear throughout, forming not only a monumental symphonic movement but also an other-worldly choral work. Indeed, the most appropriate analogy to imagine while attempting to surmise the sheer magic of ‘N°2’ is the act of making those frame-by-frame animations Vantzou has so patiently and laboriously created in the past: while they are meticulously worked on, over such a long and painfully slow process, the results yielded are both stunningly imperfect and remarkably pure. It’s a characteristic which runs through all of Vantzou’s breathtaking art (from her drawings and sleeve artwork to her dreamlike slow motion film works) which truly heightens all that surrounds you. ‘N°2’ is available now on Kranky. New Zealand-based composer Alicia Merz has been quietly amassing a soul-stirring collection of albums under her Birds Of Passage moniker over the past five years or so. ‘This Kindly Slumber’ — released by German independent label Denovali Records — is Merz’s third solo full-length album and features Merz’s spellbinding lyricism (at times recalling Mark Linkous or Daniel Johnston in their open honesty and raw emotion). Like Grouper’s Liz Harris, Birds Of Passage’s power emanates from minimal musical arrangements (vocal takes are often first takes) where a sense of both purity and intimacy is conjured by Merz throughout, providing for an unforgettable listening experience. As we delve into the innermost caverns of ‘This Kindly Slumber’s mysterious and complex maze of real and imagined landscapes; the sensation one feels is akin to the finest of Murakami’s fictional prose or the most ancient of children’s nursery rhymes and folklore tales. Interestingly, Merz holds a deep fascination with nursery rhymes since a very young age and ‘Ladybird, Ladybird’ is combined with ‘And All Of Your Dreams’ to powerful effect. Elsewhere, the deeply personal ‘Yesterday’s Stains’ contains an openness and honesty rare in music. ‘This Kindly Slumber’ is a life-affirming journey which finds Merz navigating the darkest of nights while facing her gravest of fears. On the other side of this kindly slumber we realize that even the darkest of shadows lie closest to light: through the sacred and secret songs of Birds Of Passage we learn that in every moment of hopelessness exists hope. For that, we can be eternally grateful. ‘This Kindly Slumber’ is available now on Denovali. ‘July’ (which documents Nadler’s life events from one July to the next) is the ever-prolific U.S. songwriter’s latest opus of longing and hope. The album can be read and interpreted autobiographically but, crucially, like all of Nadler’s songbook, songs are masterfully left open to the listener’s interpretation. Interestingly, Randall Dunn (Earth, Sunn O))), is at the helm of production duties on ‘July’; providing a first-time collaboration for the pair. Accompanying Nadler is Eyvind Kang (strings), Steve Moore (synths) and Phil Wandscher (Jesse Sykes, Whiskeytown) on lead guitar. However, as is always the case with such a truly unique songwriter, it is Nadler’s breathtaking voice and impeccable lyricism which quietly dominate proceedings. Like such kindred spirits as Missourri songwriter Angel Olsen or British folk legends Vashti Bunyan and Bridget St. John, Nadler’s music captivates the mind (and heart) of each and every listener fortunate enough to cross paths with her. From album opener ‘Drive’ to the forlorn closing piano ballad ‘Nothing In my Heart’, immediacy and directness prevails throughout ‘July’. Transcendental moments abound, from the poetic lyricism to ‘We Are Coming Back’ (“Still I live many miles away / So I can miss you a little everyday”) to the brooding tour-de-force ‘Dead City Emily’ which combines both gut-wrenching honesty (“I was coming apart those days”) and heart-stopping beauty as, ultimately, the prevailing sense of hope outlasts all struggle and inner-conflict (“Oh I saw the light today / Opened up the door”). 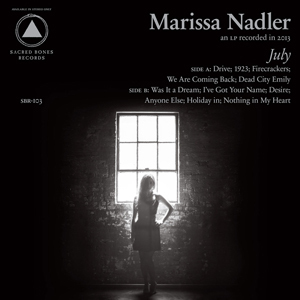 As the lyrics of ‘Drive’ return to my mind: “Still remember all the words to every song you ever heard”; I feel those very words reflect the empowering feeling in which the cherished songbook of Marissa Nadler ceaselessly awakens (and continues to re-awaken) in me. ‘July’ is available now on Bella Union (EU) and Sacred Bones (USA). Looking back on 2014, the first sounds which come to my mind is Australian band The Moles and the magical first-time discovery of their music in the form of their first retrospective ‘Flashbacks And Dream Sequences: The Story Of The Moles’, released via Fire Records. 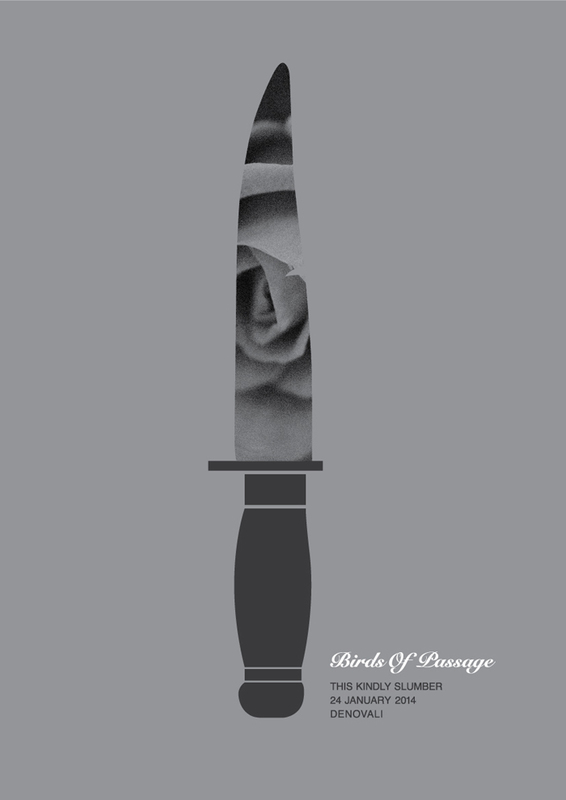 The double-album is packed to the brim with impeccably constructed pop songs, heart-breaking love songs and just about every shade and nuance in between (spanning punk, shoe gaze and indie rock). 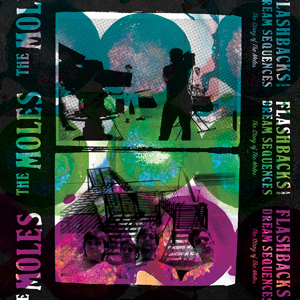 ‘Flashbacks and Dream Sequences: The Story of The Moles’ contains the band’s two studio albums; debut full-length ‘Untune The Sky’ (originally released in 1991) and follow-up ‘Instinct’ (the latter was heralded by The Sea And Cake’s Archer Prewitt as being “as close to perfection as any Beatles or Beach Boys record and it stands on its own as a classic in my book”) and a whole plethora of b-sides and rarities, culled from various EP’s and singles. Led by Richard Davies (who later would join Eric Mathews and form Cardinal), The Moles were formed in Sydney in the late 80’s and unleashed a resolutely unique songbook which would prove hugely influential on a whole host of diverse bands (The Flaming Lips, The Sea And Cake). The original band line-up consisted of Glenn Fredericks, Richard Davies, Warren Armstrong and Carl Zadra, friends from law school who were fans of Flying Nun, The Fall and The Go Betweens, drawing their name from a reference to ‘Wind In The Willows’ and spy novels (John Le Carré and Graham Greene). What’s most apparent on this defining release is that the truly unique vision (in both Davies’s songwriting and The Moles’ music) deserves to be known — and embraced — the world over. “It’s always an adventure. There’s an element of a well that never runs dry,” Richard Davies told us earlier in the year, on discussing The Moles. It’s a sentiment which could not be more true for The Moles and their utterly visionary and absolutely essential music. ‘Flashbacks And Dream Sequences: The Story Of The Moles’ is available now on Fire Records. When Light In The Attic Records reissued the much-fabled, timeless cult-classic ‘L’Amour’ by Lewis (originally released in 1983 on the unknown label R.A.W.) not much was known about the whereabouts of its esteemed author, not least the actual identity of “Lewis”, for that matter. The sense of mystery only deepened when consulting the album’s liner notes: Was Lewis still alive? What has he been doing in the intervening years? What other musical treasures are lying around only awaiting to be discovered written by this elusive figure? Crucially, without even beginning to dig any further into biographical detail (or absence thereof), it’s clear that, on listening to ‘L’Amour’, Lewis created nothing short of a bona-fide masterpiece. Heartbreak is immediately evident from Lewis’s lonesome, brooding, ghostly baritone from album opener ‘Things Just Happen That Way’ (“I took her hand / She took my heart”) while a sparse set-up of whispered voice together with only piano, synthesizer (or an occasional plucked guitar) remains throughout — recalling Waits or Springsteen at their most hushed and introspective best — creating a defining album of heartbreak — and love — in the process. And what about the biographical gaps? 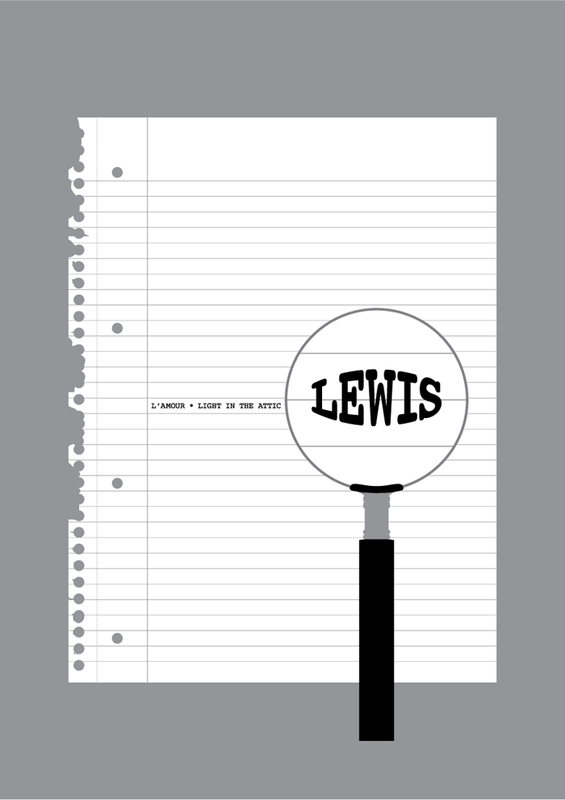 Indeed Lewis was, as it turned out, a pseudonym. 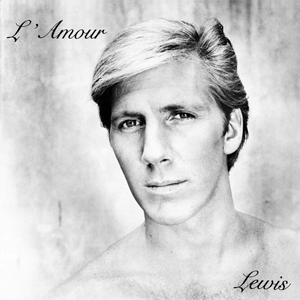 Lewis’s true identity has proved to be that of Randall Wulff (as confirmed by famed L.A. photographer Ed Colver, who had shot the über-cool cover-shoot for L’Amour’s album sleeve). However, for the purposes of the Light In The Attic liner notes, the mystery remained unsolved (after a long two-and-a-half year search). That is, until August 2014, when the real-life Randall Wulff was found (read Light In The Attic’s amazing article HERE) — alive and well and still quietly making his own masterful music — in what must have been the year’s most enchanting and heart-warming of stories. L’Amour’ is available now on Light In The Attic. One of the most stunning re-issues of recent times came this year via the Portland, Oregon-based label Little Axe Records (a label founded when Mississippi Records split into two labels in 2011), with it’s issuing of a self-titled LP by One Of You. The author’s name and identity remains anonymous but we do know this startling collection was made by a Czech immigrant to Canada who set up her own Scarab label in the early ‘80’s, releasing music under the pseudonyms One of You and The Triffids. Having fled her homeland in the late sixties to emigrate to Canada for hopes of a better future and life there, One Of You’s music would be imbued with a prevailing sense of loss, regret and much hardships. The music itself, written in both Czech and English, and arranged in typically minimal fashion (synthesizer, guitar, organ) touches upon outsider folk, folk-psych, Eastern European folk and minimalist music traditions. One Of You’s deeply affecting, timeless music yields moments of powerful intensity while a whole spectrum of emotions, images and textures are unleashed beautifully upon the listener all at once. RVNG Intl. is a Brooklyn-based music institution that operates on few but heavily fortified principles, dealing with forward-reaching artists that ceaselessly push the sonic envelope. From visionary luminaries such as Julia Holter, Holly Herndon, Blondes, Maxmillion Dunbar et al, RVNG Intl. has consistently delivered some of the most adventurous, enthralling and breathtaking records this past decade. One of the label’s cornerstones has become the awe-inspiring archival series which has featured (and celebrated) musical pioneers Craig Leon, Ariel Kalma and K. Leimer. 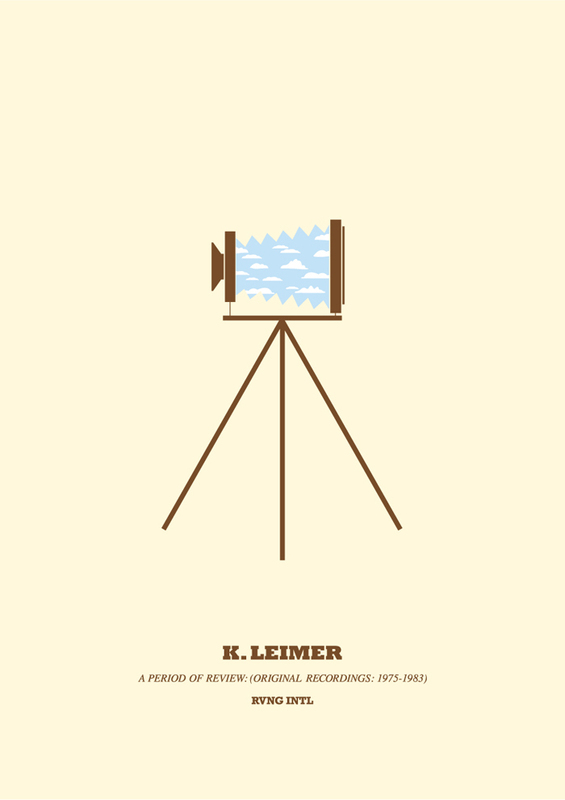 The third installment of the archival series — released earlier this year — was Seattle-based sound sculptor, K. Leimer and a vast treasure of ambient voyages entitled ‘A Period of Review (Original Recordings: 1975-1983)’. I simply cannot think of a more special musical document to have graced my life this past year than Kerry Leimer’s resolutely unique and deeply human canon of pioneering ambient music. 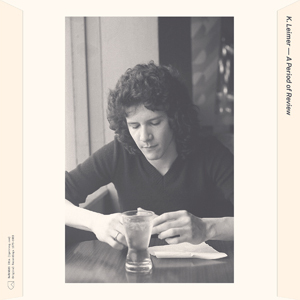 ‘A Period of Review (Original Recordings: 1975-1983)’ offers the perfect entry point (across an exhaustive double-album and thirty spellbinding tracks) into the beautifully enthralling and ever-revolving world inhabited by the special soul of Mr. Kerry Leimer. 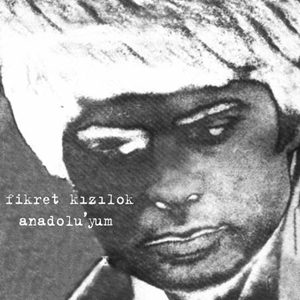 Although technically issued at the tail end of 2013, legendary Turkish folk singer Fikret Kızılok (1947-2001)’s exquisite collection of singles from 1971-75 (compiled into a 14-track set entitled ‘Anadolu’yum’ and issued by Pharaway Sounds, a subsidiary label of Light In The Attic Records) proved — like the many equally formidable Pharaway Sounds releases — a true haven for music lovers. 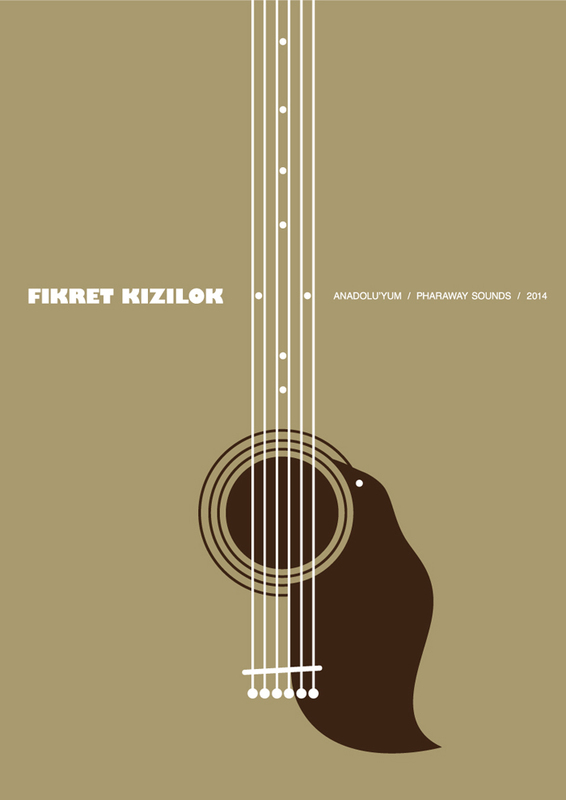 Merging genres and fuzing styles almost at will (as evidenced by the immense musical arrangements drawing from such diverse sources as Western influences, India and his own native Turkey), Kızılok’s diverse appetite and deep appreciation for music shines through in every one of this magical compilation’s fourteen tracks. From the heavenly and beautifully forlorn Anatolian folk masterpiece ‘Anadolu’yum (1972&1975)’ to the irresistible sitar-aided ‘Gün Ola Devran Döne’ (1971), Kızılok’s musical path would be dictated by numerous external obstacles of the day (namely, the political unrest of his native Turkey throughout the 1970’s) while a pressure to conform to audience’s expectations (Kızılok was a pop phenomenon in Turkey, regularly charting instant hits) proved immense in the intervening years, while he would become most often associated with his best known love ballads from his considerable 1970’s output. ‘Anadolu’yum’ is available now on Pharaway Sounds. With very special thanks to all the wonderful musicians and labels for the true gift of their music. And a special thank you to all our readers for reading during the year. 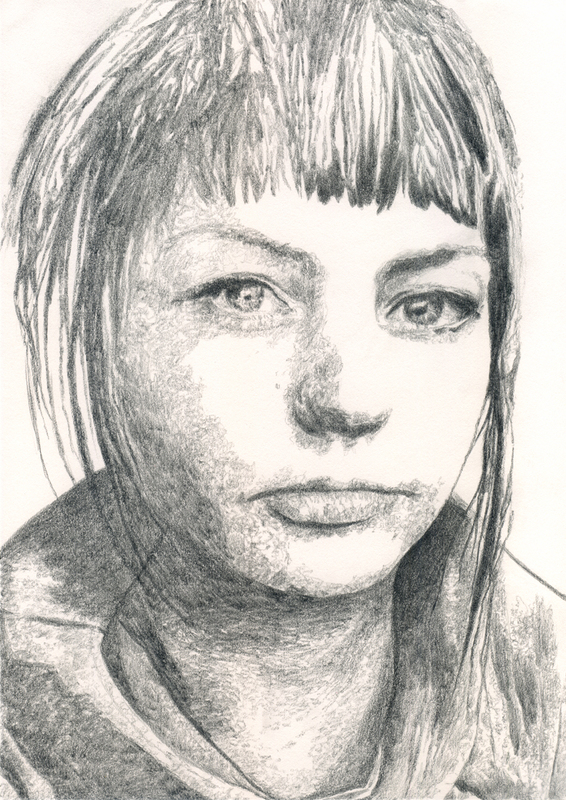 I first came across Angel Olsen by a simple twist of fate. During 2011 Bonnie “Prince” Billy’s latest record ‘Wolfroy Goes To Town’ was released to the world, and one of the creative sparks from those recordings is Olsen’s beguiling voice. Her harmonies and vocals add new layers of dimension to Will Oldham’s awe-inspiring folk songs. On ‘Wolfroy Goes To Town’ a rejuvenated spirit is born that recalls Bob Dylan’s ‘John Wesley Harding’. A beautiful, clean country sound sweeps you off your feet. The gorgeous blend of harmonies between Oldham and Olsen is a pure joy to savour, akin to Gram Parsons and Emmylou Harris from another space and time. A tower of song from this album is ‘New Whaling’; where the mesmerizing harmonies of Olsen, Oldham and Emmett Kelly breathes aching life and windswept beauty. A little later, Bonnie “Prince” Billy came to perform a show in my hometown, at the Cork Opera House. A feast of divine folk and country music. I felt the tradition of folk music and spirit of rock ‘n’ roll unfold before my very eyes. Olsen, on stage right cast an illuminating spell, as did each and every of those masterful musicians. The Missouri-born, Chicago-based Angel Olsen is a truly unique and gifted singer-songwiter whose latest album ‘Half Way Home’ represents some of the most affecting and empowering folk songs of our time. The intimate country-folk songs become part of you as the song’s lyrics seep into the slipstream of the human space. 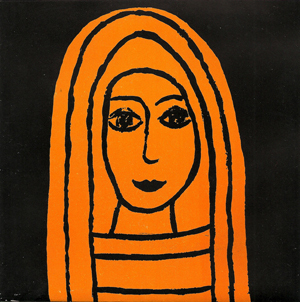 As ever, it is Olsen’s voice that lies at the forefront of her unique blend of folk music. Integral to the album’s sound is Emmett Kelly, he of The Cairo Gang and fellow-Oldham collaborator. On ‘Half Way Home’, a deep musical telepathy is forever alive between the pair. During the same time of the release of ‘Halfway Home’, Emmett Kelly released ‘The Corner Man’, yet another indispensable chapter from his compelling songbook. In the words of Olsen: “I’ve never met anyone who can grasp onto a sound or feeling with such effortless ease. We were breathing those songs together”. ‘Acrobat’ serves the perfect prologue to ‘Half Way Home’. Olsen’s extraordinary voice resonates powerfully amidst the intricate layers of instrumentation. The steel guitar notes rise and fall beneath Olsen’s words of longing: “I want to be made out of love/I want to be made into life”. Rarely is such raw emotion expressed through the art of song, like this one. I feel the song shares the kindred spirit of Mary Gauthier. The tempo changes on ‘The Waiting’ with its irresistible funk beat and Spector wall of sound. This is Olsen’s ode to The Beatles and The Beach Boys. A truly transcendent pop song is born with immaculate production echoing Brian Wilson’s ‘Pet Sounds’ and 60’s French chanson of Francoise Hardy. “I want to be the one who knows the best way to love you” has gorgeously timeless shades of Dusty Springfield and like any perfect pop song, a depth of heart lies at its core. “It’s about many things, things that have happened to me, feelings I’ve had. Situations that have occurred to some I know. I think no matter how stable I am I will always be searching, I guess that’s what this album is about. The endless searching, the fruitless waiting, the idea of home that is inside yourself”. ‘You Are Song’ recalls the timeless spirit of Vashti Bunyan. A song divinely pure and true. Olsen’s beautiful voice seeps into your heart’s core, “With you here it’s been easy to say/That I could never lose sight of what my heart truly is”. The song is a meditative folk lament with a brooding darkness flowing effortlessly beneath: “It is impossible to escape the sound/Of the dark that is following around”. ‘Miranda’ is a country folk gem. The backing harmony on ‘Miranda’ possesses the vivid beauty of Emmylou Harris and the Bonnie “Prince” Billy songbook. The song’s lyrics are sheer poetry –a love poem, so direct and open: “You are a statue/You are like a mountain/Your life with many visions in your eyes”. ‘The Sky Opened Up’ is a cinematic tour de force with slowly building instrumentation of electric guitars. A vast sea of sound is created as a three-dimensional spectrum of shape-shifting rhythm and delicate percussion serves the sonic terrain for Olsen’s otherworldly voice. “There is always somebody to lose” is a lyric that resonates powerfully from the song’s compelling stratosphere of innovative sound. ‘Free’ draws from the Sun Studio recordings from Memphis in the early 50’s, Phil Spector’s wall of sound and The Beach Boys. A glorious bassline runs throughout. The drumbeat and song’s groove is similar to ‘Be My Baby’, a timeless pop gem blossoms before your very eyes. Magnificent beauty in full bloom. Album closer ‘The Tiniest Seed’ brings ‘Half Way Home’ to a fitting close. The spirit of The Band’s hybrid of country, soul and gospel permeates the atmosphere as ‘Halfway Home”s deeply human tones and resonant images are laid to rest. The unique songwriting voice of Angel Olsen offers a deeply immersive journey where each song is a star in the night sky and a dawn for a new day. ‘Half Way Home’ is a work of true art. “Half Way Home” is out now on Bathetic Records. It’s a real honour for me to ask you some questions about your utterly captivating music. Thank-you for your curiosity, Mark. Congratulations on your truly transcendent work, ‘Half Way Home’-it is such deeply affecting music. The country-folk songs are so intimate, that crawls into your skin and becomes part of you…seeping into the slipstream of my heart and mind. You must feel very proud of the record. Please tell me about the time and place this collection of songs were given their wings, and put to tape? I wrote part of ‘HALF WAY HOME’ a few years ago (never really feeling comfortable enough to record them until now) and another part during my recent travels within the last year or so. I think many songs on this record have different themes, I didn’t exactly plan one for the entire record. ‘Acrobat’ is a wonderful opener to ‘Half Way Home’. As you sing “I want to be made out of love/I want to be made into life”, it resonates very powerfully for me. I think these very words become the essence of ‘Half Way Home’ in its sense of searching and longing. The song is the prologue to the soul journey. Tell me please about ‘Acrobat’ and the significance of this song on the album as a whole? The acrobat itself is a beautiful symbol and metaphor for life’s wandering, I feel. This song has gone through many changes- at first it was performed with accordion and sang very loudly. It has since wandered from that and I have also wandered from accordion..however, the words weighed heavier somehow than they had before and in some moment I decided to make this transitioned song a kind of door to the rest of the album. ‘The Waiting’ has an irresistible soul groove and the song shares the timeless feel of a French chanson from the 60’s. It could be Edith Piaf, Francoise Hardy and Phil Spector rolled into one. Discuss for me please the production on ‘Halfway Home’? It is immaculate. Emmett Kelly of The Cairo Gang produced the album, giving it that vibe you speak of- we are fans of Phil and Francoise as well as you know.. The Beatles, The Beach Boys. We were kind of nodding to them with a few songs. The wonderful Emmett Kelly of The Cairo Gang plays an integral role to the album’s sound and depth. I would love to gain an insight into working with Emmett on fleshing out a song, and the source of inspiration of being a member of the Cairo Gang? I’ve learned quite a bit from watching and listening and being involved in projects with him. He’s immensely talented. Can pretty much play anything, any instrument any song within minutes. I’ve never met anyone who can grasp onto a sound or a feeling with such effortless ease. We were breathing those songs together. Have you had a chance to check out his music? I spent some time with him in the hills of California listening to early drafts he was working on…in my mind that album will always be locked into that travel. I have seen you live as part of Bonnie “prince” Billy’s live tour of ‘Wolfroy Goes To Town’, when you played the Cork Opera House. I love the fresh country sound from this Will Oldham record-and your voice serves a vital pulse to the music. Please take me back to this record and the experience of performing with Will Oldham? I learned a lot from him and from the band, I wish I had been more vocal with my ideas, I hope to be in the future. I went through many extreme changes during the beginnings of working with them, and I am forever thankful. Performing the record was totally different than sitting in a hot closet singing to a million settings and microphones. I loved how improvisational we could be on stage. I don’t enjoy when music is calculated and easy, that’s not how life is, songs shouldn’t be either. ‘Lonely Universe’ is a tower of a song. I am transported to ‘On The Beach’ era Neil Young. The music floats by amidst your breathtaking vocals. 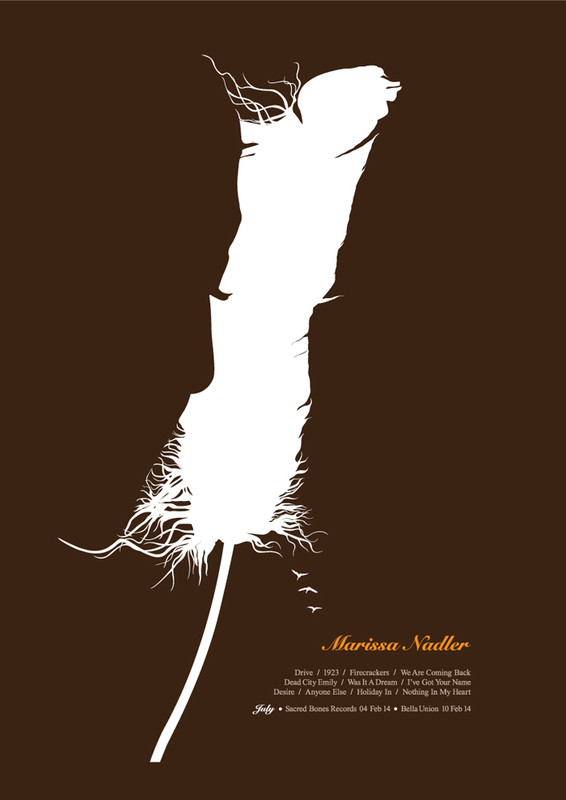 A blues song-sharing the spark of Karen Dalton. The opening guitar is reminiscent of Fleetwood Mac. Your vocal delivery of the line: “Goodbye sweet mother earth/Without you now/I am a lonely universe” is deeply moving and affecting. Talk me through this song–it’s the album’s centerpiece. Well, it’s irrelevant but I disagree with much of that. I guess as an artist it’s only natural and expected that I am seeing something different than what may be projected here. This song is about multiple ideas, situations..and it’s not necessarily about my mothers. It’s been to me..a song about letting go of roots and becoming a person, allowing myself to exist, to realize how existing is okay even while having nothing, and that somehow having nothing can possibly allow someone or myself to see something clearly. When in life did you realize music’s importance? At what point did you find your voice-so to speak- and write/compose songs? I’ve always been into music, it’s alway been in my head. I think I began articulating things around me much more when I was 17 or 18 and then really noticed a change in my writing during my transition from St.Louis to Chicago. You are based in Chicago. Please discuss the musical environment of this city? Everyone is making art and sharing it, allowing others to partake in it, if I ever move, I know it’s this that I’d miss most.. It’s my home. What are the defining records for you, as a musician and singer-songwriter? The answer to this changes quite a bit, and I assume it will keep on changing..
songs of Love and Hate is one of my favorite albums, and currently I’ve been revisiting ‘Desire’ and ‘Then Play On’. ‘The Sky Opened Up’ is a gorgeous song-title. I think this song could easily be on ‘Parallelograms’ by Linda Perhacs-the song has this three-dimensional texture. The instrumentation is sublime. Your voice is mesmerizing. The mood is perfectly captured. I feel the musical telepathy is most evident on this cut–did this song just happen spontaneously, as it sounds? This song happened weeks before recording the album.In my mind it marks a new chapter in my writing.. its possible that newer material may sprout from this change. The lyrics to all your songs are words of poetry-words that guide me along the path of life. I can make a comparison to your songs and the poetry of Sylvia Plath; both have made a profound affect on me. 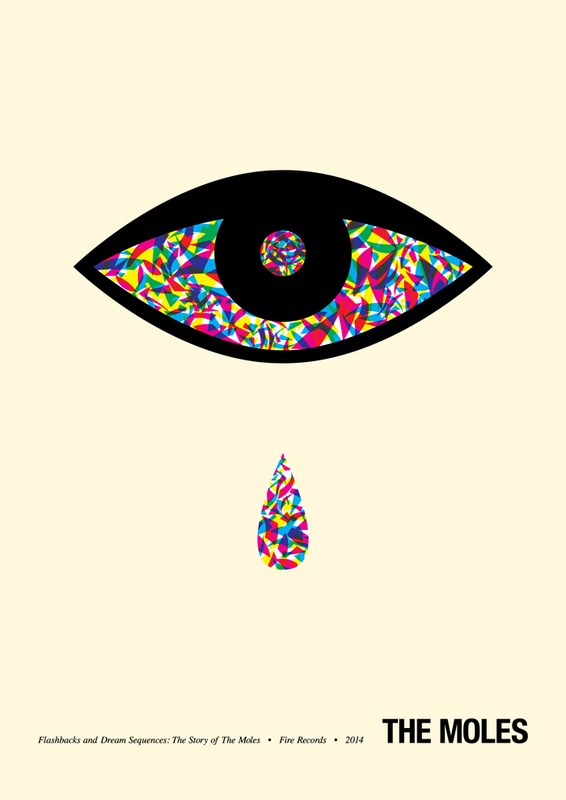 I would love to gain an insight into the creative process in you writing? I don’t often think of my songs as poetry, but a poet recently told me that maybe I should.. I enjoy when one line means many things, I also enjoy being very uncomfortably straight forward. My writing comes to me in waves and never with any specific theme, at least not one I can recognize while it happens. Over time the songs begin referring to different things, sometimes I forget where they began, knowing too that my own nostalgia can be unreal, or inaccurate..and buried beneath some romantic idea of what I thought was an epiphany. Even if that’s the case- that these songs or some songs are entirely made up over some unreal idea, I still feel somehow that they can make themselves relevant to those who actually experience them. 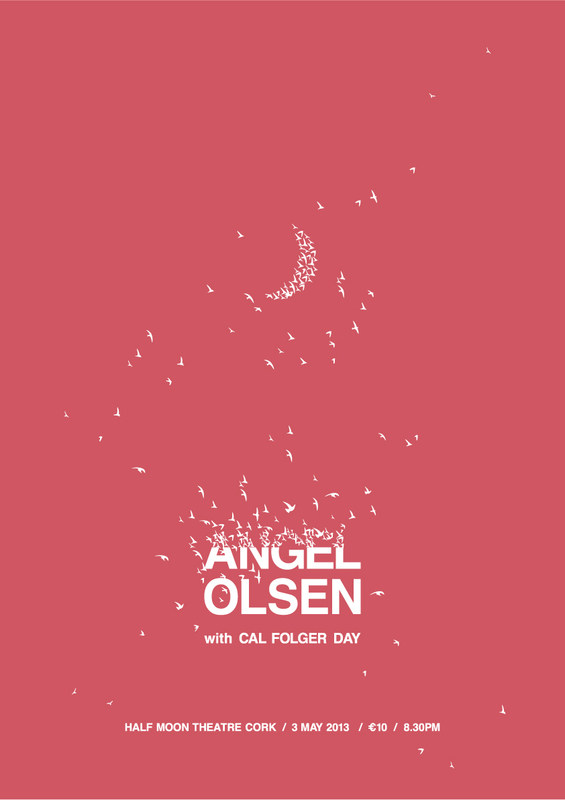 Angel Olsen performs at the Half Moon Theatre, Cork on Friday 3 May. Tickets €10, doors 8.30pm.